For years I’ve written about striving for a healthier life – being more active, eating as well as I can and making healthy choices. I’ve been going to the gym for a few years now and run regularly too so I am always looking for ways to help this exercise have the most impact on my body and lifestyle. This is where the new PROMiXX iX-R comes in. The PROMiXX iX-R is more than just a drinks bottle. It’s a high powered vortex mixer and basically the world’s most advanced electric mixer bottle. 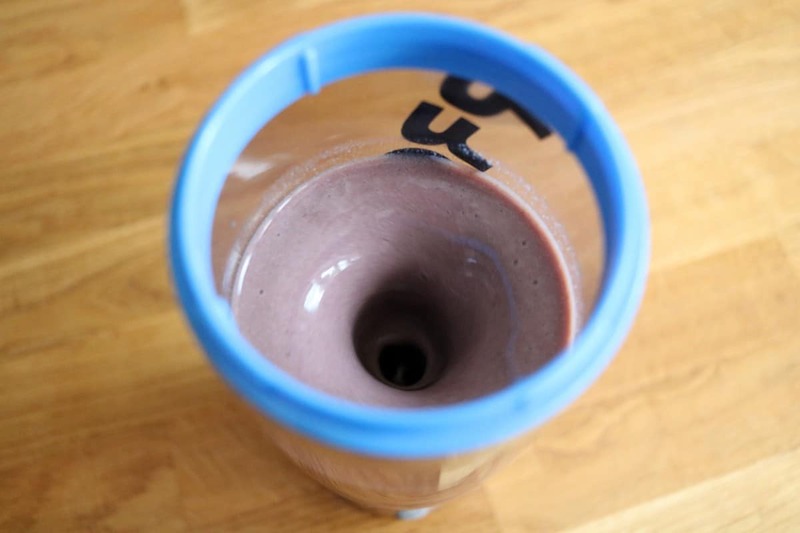 You might be wondering why you could possibly need one in your life but anyone that has ever made any kind of shake at home – or taken those homemade shakes to work or out and about with them – can see what a revolution this could be. You see, making shakes, getting all the lumps out and keeping them tasting fresh is a bit of a juggling act. I usually end up with shakes with lumps in or shakes that separate or settle if I don’t drink them quick enough, having to resort to physically shaking them to mix them again. But they never taste quite the same after that. 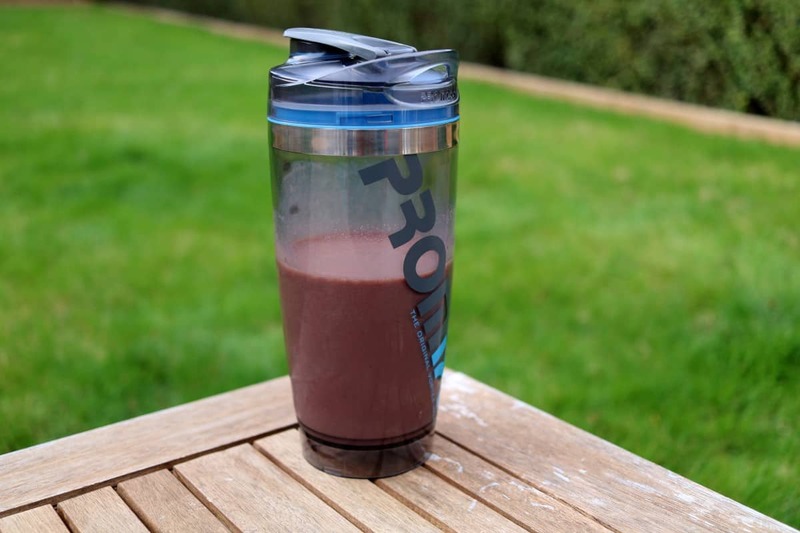 The PROMiXX iX-R means I can make shakes whenever I want them, mix them there and then – getting rid of all the lumps and making sure they’re as fresh as they can possibly be. 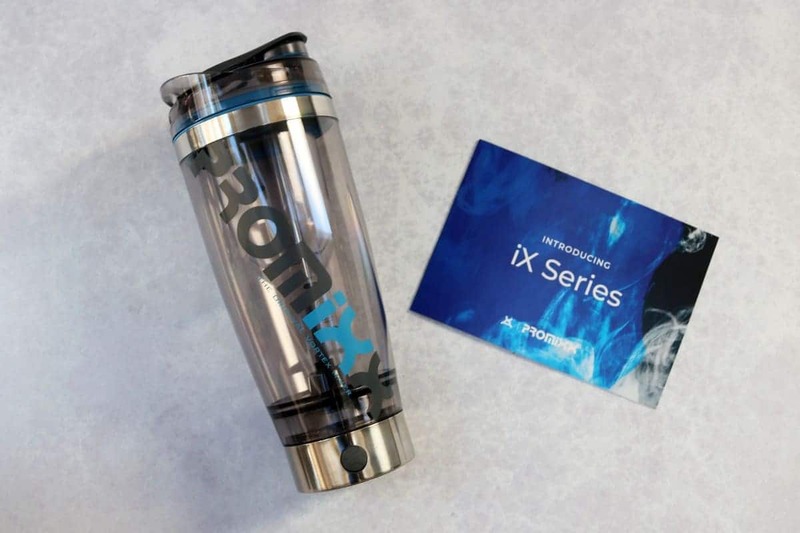 The PROMiXX iX-R is so much more than a typical protein shaker bottle. It has a handy power pack attached to the bottom which is charged by USB and then powers the mixer motor. 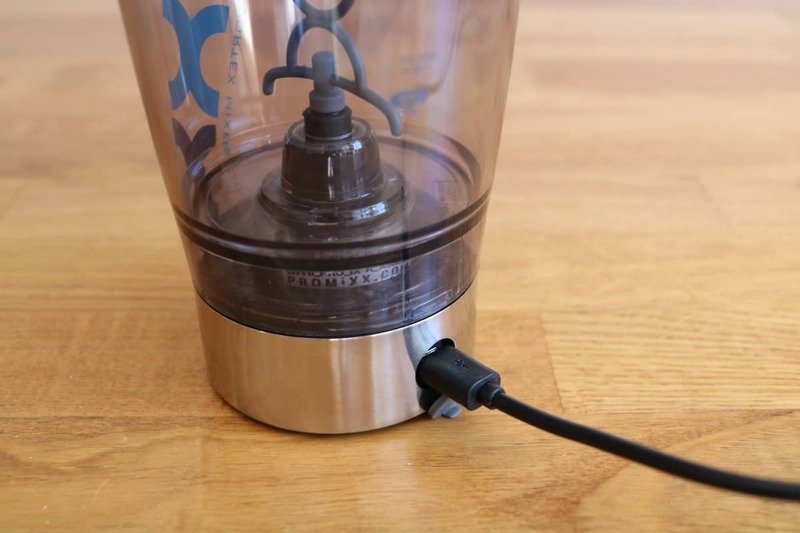 It’s a rechargeable vortex mixer – an electric protein shaker! 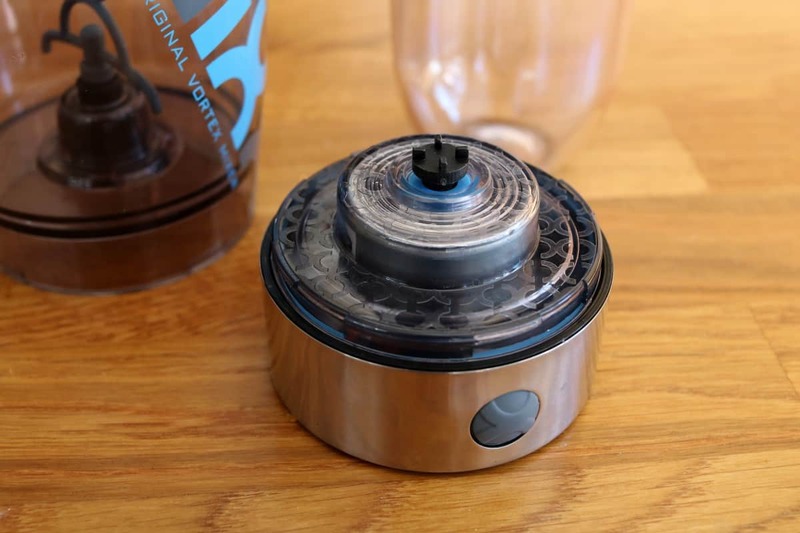 The motor detaches for cleaning and makes sure any shake is really well mixed. The battery lasts a good while too – I’ve been giving it a charge once a week but it hasn’t run out within a week for me yet. I also need to take a minute to say how great it look too – complete with stainless steel trim. 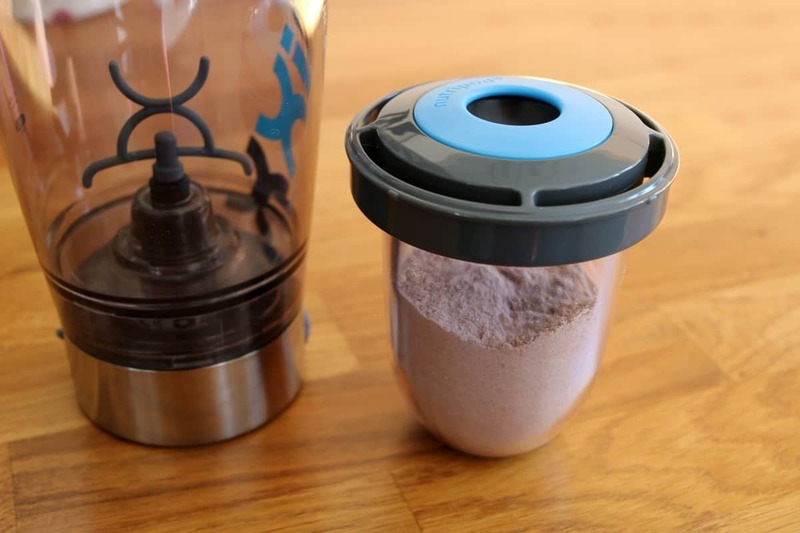 The PROMiXX iX-R also comes with a handy powder storage unit that sits happily inside the top of the bottle. So you can take liquid and powder with you wherever you go – to the gym, work or on a day out – ready to be mixed whenever the mood takes you. I’ve been using the PROMiXX iX-R for the last few weeks and it has fit seamlessly into my lifestyle. Whether I am having Slim Fast shakes for breakfast or a protein shake when I work out the mixer works so well, the bottle is so nice to drink from and great to hold as well. It’s not too bulky, fits easily into my bag and really makes life easier. I can see the PROMiXX iX-R being a must have gadget for anyone that has any kind of shake or drinks mix in their life. It’s the next step forward after the original vortex mixer and the vortex mixing technology makes it a true revolution on its field.